An insight agency based in London and Shanghai. We were contacted by another insight brand to support them in the fieldwork stage of a major study for a leading haircare brand. They needed deep insight and strong visual data on the topic of emotional experience in women's haircare, specifically focussed on fragrance and including a product test. Our work was to run in tandem with an identical study in China, requiring a high level of collaboration and organisation with other research firms. We combined in-depth interviews with filmed ethnography to capture the depth of experience and bring it to life. Our discussion guide and interview techniques explored both conscious and unconscious thought patterns. 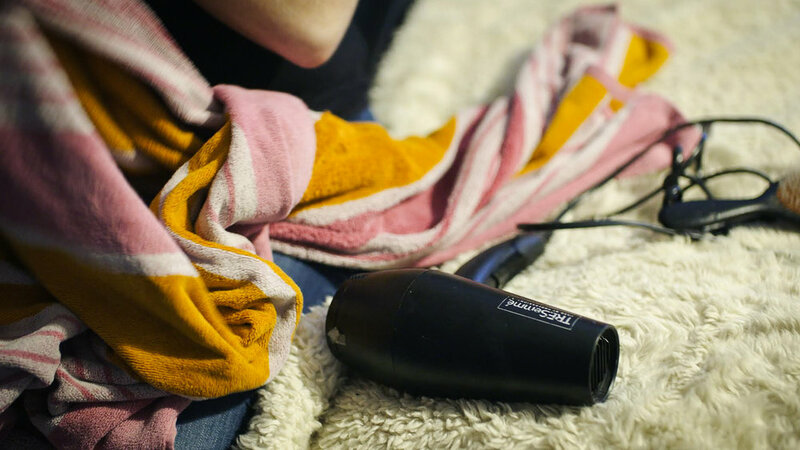 We fused this with an extended period of in-home ethnography designed to gather data over the key points of a 24 hour haircare cycle, using GoPro as well as non-intrusive camera work to capture the participants in their natural state. We managed to powerfully convey emotional reaction to scent using film including the contrast between the product test and the participant's preferred products. Our contribution of visual expertise and non-intrusive camera work delivered exactly what was needed to our client firm, who were then able to synthesise our work with the China market studies and in turn deliver crucial information to the haircare brand.